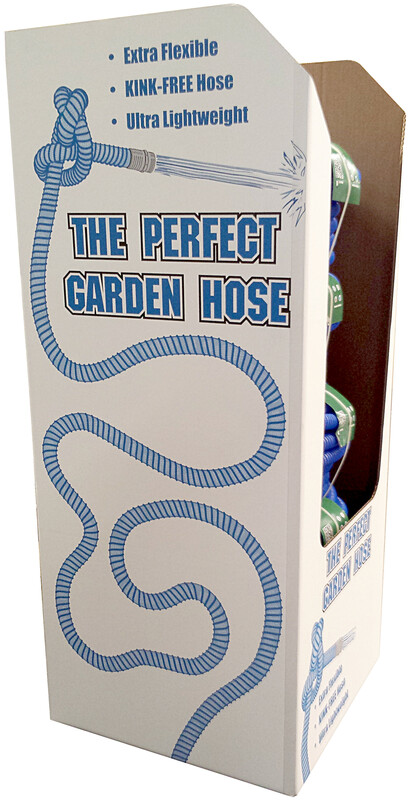 JGB Enterprises now offers a new Point of Sale (POS) or Point of Purchase (POP) display for The Perfect Garden Hose to meet the merchandising and display needs of our retailers. The display can be sent empty for loading by the retailer, or preloaded with five 100' units, ten 50' units, and ten 25' units. JGB General Manager Josh Defino states, "Our aim was to create a display that connects to the gardener who is looking for a solution to the problems associated with their garden hose. 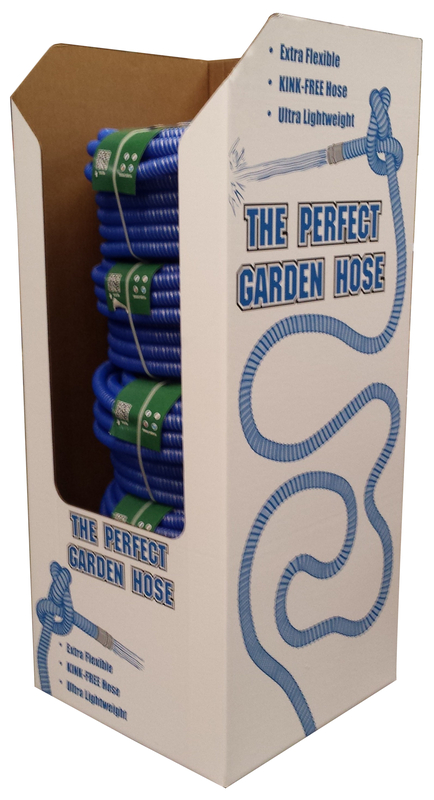 The display highlights the Kink-PROOF, Extra Flexible, & Ultra Lightweight attributes that The Perfect Garden Hose is known for." 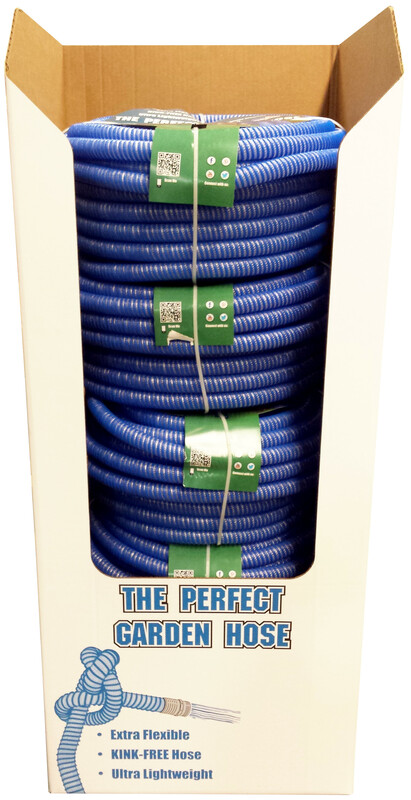 The New display is made with heavy duty corrugated cardboard to withstand continuous loading and unloading, and is "wrapped" in an image of our unique blue colored garden hose, featuring the popular imagery of the "knot" that's become the face of the product. We're also in the final stages of offering a "no tear" packaging solution for the product that will be available soon. This entry was posted in Uncategorized and tagged Business, Business and Economy, Facebook features, Garden, Garden hose, Industries, Perfect Garden Hose, Pressure, TUFF GUARD The Perfect Garden Hose, Twitter. Bookmark the permalink.